Molasses is a byproduct obtained from the processing of sugar cane and sugar beet into table sugar. It is dense and viscous in nature. It's name is derived from the Latin word for honey, known as "Mel". These might be some of the periphery information you know about molasses, apart from these, you do not have an idea about any of its health benefits. In this post, you will get to see some important health benefits of molasses that you really need to know. Blackstrap molasses contains high amounts of antioxidants, higher than the ones you can find in refined sugar, raw cane sugar, corn syrup, and other readily available sweeteners. Like you already know, antioxidants protects our bodies against the oxidative damage associated with cancer, cardiovascular disorders and degenerative diseases. This characteristic alone makes it more preferable to refined sugar. Molasses is a good source of iron. It is highly useful for menstruating women who are at major risk of iron deficiency due to loss of blood. With the absence of fat and very few calories, molasses is a better alternative for supplying iron into the body compared to other fatty sources like red meat. Iron prevents various disorders like menorrhagia (excessive flow of blood for a longer duration during menstruation). Minerals such as calcium and magnesium found in molasses helps to prevent the clotting of blood, help in maintaining the health of the uterine muscles, and reliefs menstrual cramps. Molasses contains polyphenols which have antioxidant effects that may prove effective in obesity reduction and as well manage weight gain. In a research conducted to assess the impact of molasses on high-fat diet, it was evident that its extract helps in lowering the body weight and fat content by reducing the absorption of calories in the body. Black strap molasses is a good source of calcium. Calcium plays an important role in maintaining the health of your bones, the functioning of enzyme system, the removal of toxins from the colon and cell membrane function. Calcium is also required in maintaining health teeth and protects us against bone diseases that are common during menopause. Blackstrap molasses helps in stabilising your blood sugar levels. It does this because it has a low glycemic index and helps in slowing down the metabolism of glucose and carbohydrates, which results in less insulin production. This also helps in preventing the accumulation of excess fats or lipids in the blood stream. Molasses contains lactic acid, which helps in relieving the symptoms of acne. Lactic acid is produced by lactic acid bacteria, and it plays an important role in Glycolysis (Carbohydrate metabolism). Molasses is effectively used in the preparation of natural, non-toxic and non-allergic treatments of a physiological nature, which serves as remedy for acne and other skin ailments. Blackstrap molasses is also known as "pregnancy tea", due to the presence of iron, Vitamin B and other essential minerals. It is good for pregnant women because consuming it during pregnancy provides calcium, which is needed for the growth and development of the baby in the womb. Molasses is a good source of various minerals and vitamins such as Vitamin B6 and Pantothenic acid. Deficiency of any of these vitamins can lead to headaches, asthma, stress and fatigue. Extracts of molasses are good for your hair as they promote healthy hair growth. It softens and conditions your hair, adds a rich texture and prevents it from prematurely graying. This might be the only uses and importance of molasses you might already know. They are popularly used in baked foods like pies, gingerbread and baked beans. Molasses are also used in the manufacturing of rum, This is one of the reason that makes rum so popular in areas where sugarcane cultivation and molasses production is highly dominant. Now you have seen the importance and benefits of molasses, i guess you should take a look at some other important information about it. 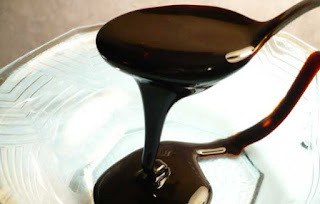 Molasses can be used in different ways, but due to its flavour profile, it is commonly used in desserts and other sweat treats. As a natural remedy, molasses can be consumed orally, diluted with water and used as hair treatment, spread topically on the skin, mixed with tea or coffee, glazed on vegetables or mixed in a protein-packed power ball. How Much Blackstrap Molasses Should I Take? It is never advisable to consume this substance excessively. It is considered safe to consume 2 tablespoons every morning, that is if you are trying to make it a regular part of your health regiment. You body will thank you after doing this because you will enjoy its health benefits. After reading to this point, I am sure you have added to your knowledge on what you already know about molasses. "Sharing is caring", kindly share this piece of information with your friends on Facebook, Twitter and other social platforms. Simply click the share buttons below.